Is It Normal to Gain Weight With the Insanity Workout? You're jumping, sweating and puffing with Shaun T on his Insanity videos and thinking that surely these intense workouts are enough to make your scale numbers drop. When you do step on the scale, you find the numbers going up. So, what gives? Insanity is a version of metabolic conditioning -- exercise that incorporates whole-body, high-intensity sessions alternated with lower-intensity recovery periods. The program promises a serious calorie burn and body transformation, but you can't expect these results to come instantly or without other changes to your lifestyle. If you've only been doing the Insanity program for a week or two, give it a little more time. Your body needs time to adapt. Steve Edwards of Beachbody, the maker of the Insanity videos, notes that in the first few weeks of an intense exercise program your body releases more of the stress hormone cortisol which leads to water retention. 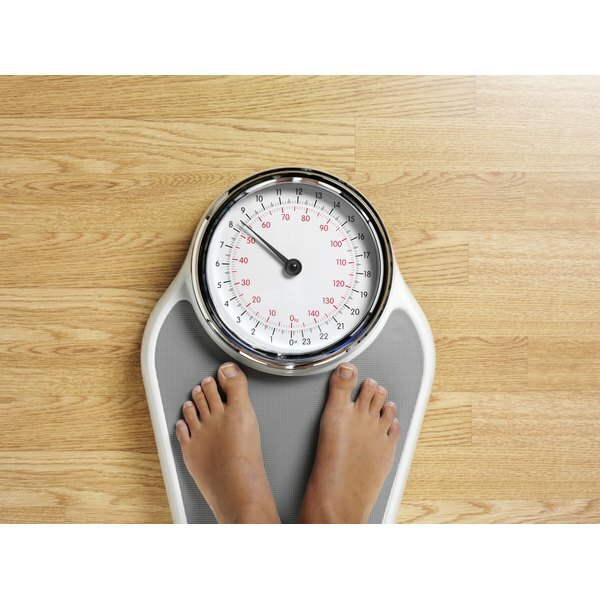 You may experience a bit of weight gain as a result of this increased water weight, but it will eventually subside. You can do the Heisman, Double Diamond and Switch Kick all you want, but if you don't amend how you eat, these moves are unlikely to do you much good. Weight loss requires you to eat fewer calories than you burn. If you continue to enjoy generous helpings at meals without attending to food quality -- say, emphasizing lean proteins, veggies and fruits over refined grains and fast food -- your body is unlikely to change. Exercise can stimulate your appetite -- especially if it's intense. A food journal may help keep you accountable and aware of where you're slipping up. Conversely, starving yourself in an attempt to lose weight quickly on the Insanity plan can also backfire. Edwards notes that going for more than a few days with severe calorie restriction can impede weight loss because your body goes into crisis mode and refuses to let go of extra weight. Tap into how you feel during your workouts -- if you don't have the energy to give Insanity your all, you may not be eating enough. Insanity is a program that gradually increases in intensity. If you stick to the first part of the program and never progress your workouts, you may not see the results you desire. Your body adapts to exercise and needs constant challenge to continue to change. Follow the program and embrace the increased difficulty. Only hard work begets results. How Many Calories Do You Burn With Slim in 6?